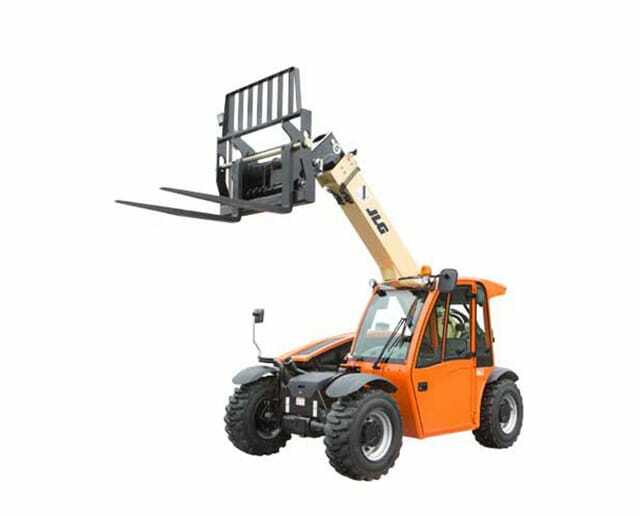 The 6,000 lb 42 ft telescopic forklift can reach loading sites that are otherwise unreachable or difficult to access manually. 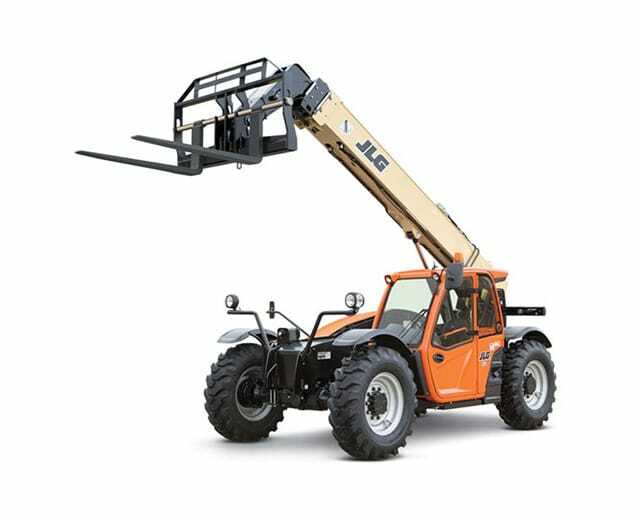 Mounted to a telehandler truck, the telescopic arm can extend up to 42 ft horizontally, enabling operators to move heavy loads with precision. The forklift attachment has two pallet forks that safely sustain palletized units of up to 6,000 lbs. 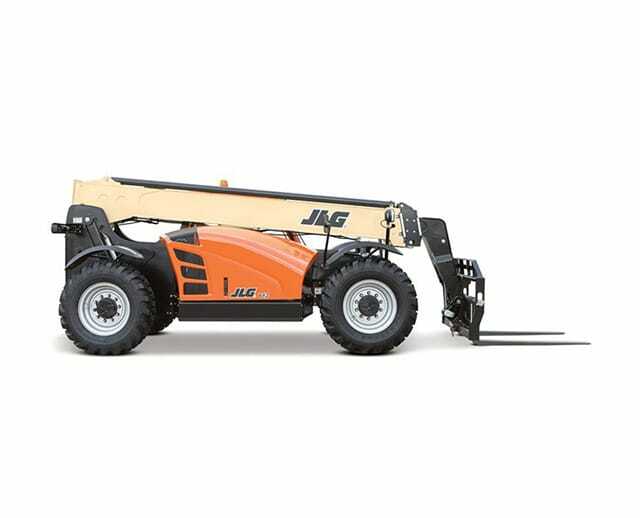 The telescopic forklift can also transport heavy loads across worksites with sloped outdoor terrain.